Edison Park lies 15 miles northwest of downtown Chicago. It has the lowest violent crime rate of any Chicago neighborhood. 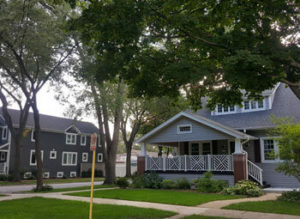 Ranked as one of the best city neighborhoods, it also boasts a variety of restaurants and bars located along what’s known as “Restaurant Row” that add to the fun in Edison Park.